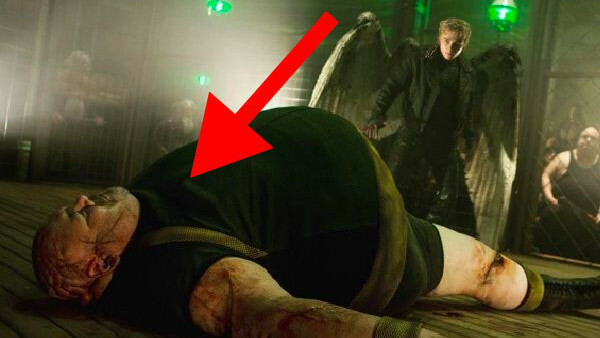 FoxUnfortunately for any X-Men fans whose favourite character is behemoth villain Blob, the pre-release material confirmed that the bad guy appears for a grand total of about 4 seconds on screen, after being laid out by Angel. During the Berlin set sequence that sees Mystique rescue Nightcrawler, the big guy can be seen knocked out and in bad shape in the specially made cage match-style ring. You'd be forgiven for not paying attention to the guy, since he's only there for less than a minute and doesn't exactly pull up any trees. Unless, of course, you happen to notice the actor's name in the credits or on IMDB: Giant Gustav Claude Ouimet. Again, the name will mean nothing to most film fans. It will probably mean about the same to most pro wrestling fans, but if you're one of the few fans who legitimately loved Hulk Hogan CLASSIC No Holds Barred (said with no irony whatsoever), you may just get the faintest glimmer of recognition. Giant Gustav was cast in No Holds Barred as the mostly forgettable Rebar Lawless, a generic big guy (the model for the rest of Ouimet's screen career actually). And he came to that film thanks to a brief career in the ring in the 80s, billed as Giant Gustav and cast alongside the legendary Sky Low Low to make him look even bigger. He was a Montreal guy who wrestled for Savoldi's ICW around 1983-84, having a couple of matches but mostly used outside of the ring as security. His size obviously made him a legitimate prospect, but every piecemeal report of him to be found online calls his wrestling ability poor at very best. 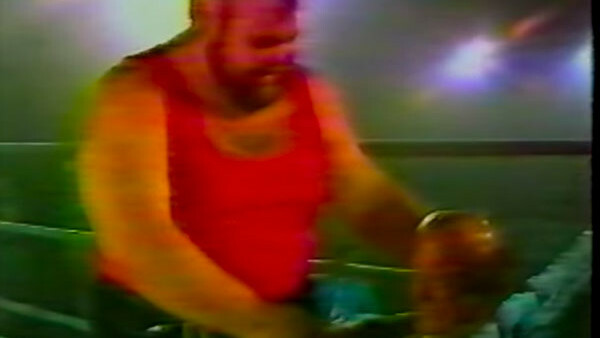 Despite those limitations he was pushed by former WWF star Mad Dog Vachon, whose son Mike actually wrestled on a card with Gustav in the early 80s. Paul Vachon took him to Japan at one point for a one week tour, where he showed off his strength (he'd later work as a strong man, according to his CV) by pulling buses. Unfortunately NJPW's Sakaguchi copied the stunt to prove it wasn't a big deal (he apparently benefited from his bus being parked on a slope), and called Gustav a fraud, green-lighting a match with Inoki, which Vachon refused. That was about as close as he got to greatness. Interestingly, it was rumoured that Gustav actually went on to become Curly Moe, a fellow ICW roster man, and that he had died sometime close to 2002. Curly Moe - presumably confused by reports of his own death, put the latter suggestion to bed, and the former was cleared up by people who could actually recognise that big guys don't all look exactly the same. In reality, after his wrestling career mostly failed to start, Gustav instead followed the acting bug he'd developed on No Holds Barred - no doubt buoyed by the fact that Hulk Hogan was somehow making lots of money in films. Since then he's appeared in various supporting roles, including opposite Vin Diesel in Riddick (2013), before landing the high-profile role of almost dead Blob for Bryan Singer. Sadly, his CV, which can be read at his personal site, now carries no mention of his former brief life of a wrestler, but there are the slghtest hints of his one time dream to be found across the web. 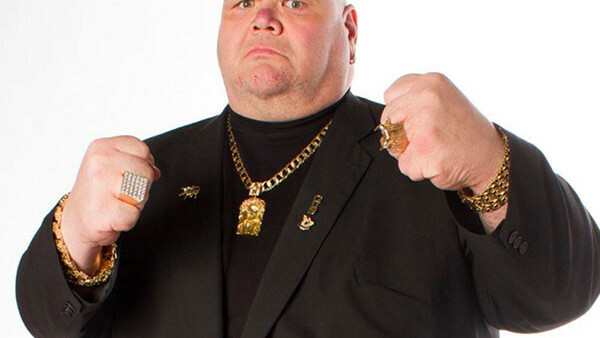 If you recognised him, you pretty much win every obscure wrestling trivia test going. 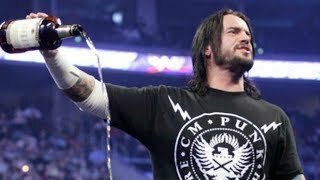 To celebrate, here's a video of him actually in the ring.